A superb collection of homes ranging from two to six bedrooms close to everyday amenities and the beautiful countryside. Located in a picturesque area on the Warwickshire/Worcestershire border Norton is a rural idyll with services, schools and shops of Evesham a mere 2.5 miles away. The village is within commutable distance from Stratford District (9.8 miles away), the Cotswolds, Evesham and Cheltenham, close to the affluent villages of Harvington and Salford Priors. The Orchard is located on the Harvington Lane and surrounded on two sides by farmed Orchards and stunning views over the rolling hills. 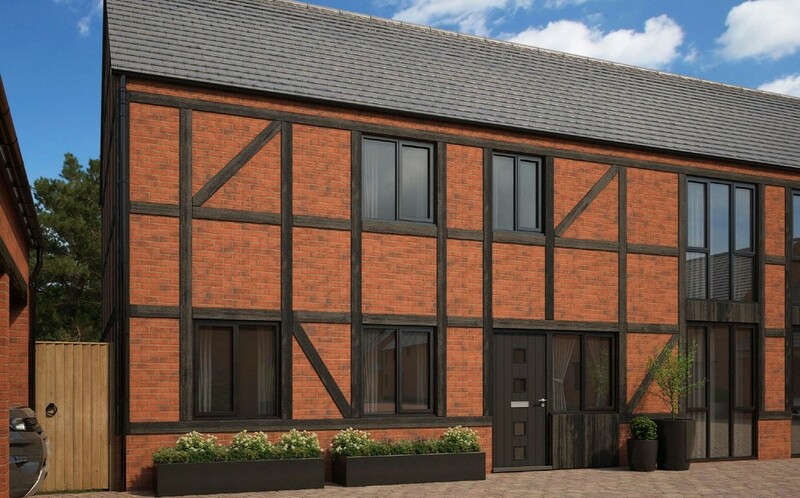 The site is designed to appear as a naturally evolved farm complex with the oldest style building of plots 17 and 18 emulating a "tithe" or "thrashing" barn. 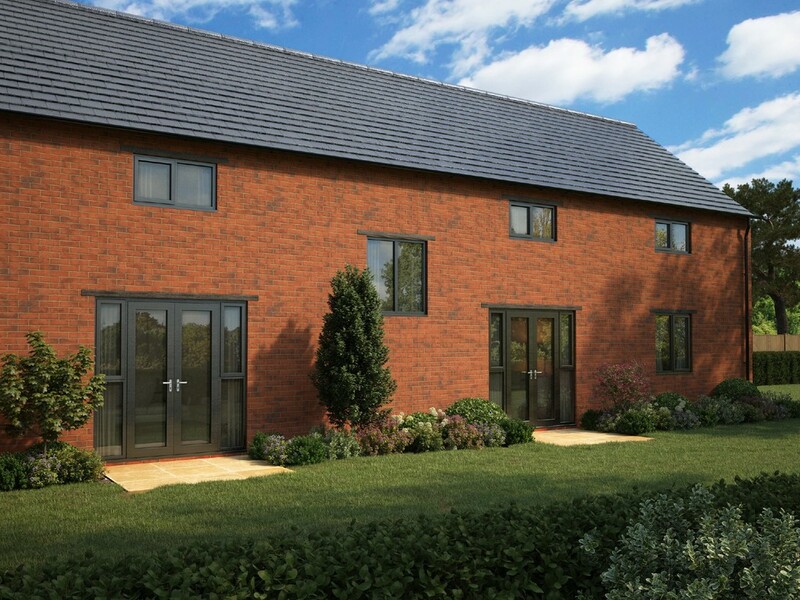 Plots 1 - 5 and 20 are the next to be added to create a farm-house, stable and further brick barns to the rear of the site. Additions of plot 6, 15, 16, 18 and 19 are all notable on the site and reflect the natural expansion of buildings to accommodate the farming activities on site. The final plots 7-14 are the most modern styled around milking parlours and a roll top Dutch barn at the far end of the complex. The Orchard seeks to provide an exceptional development that evokes an impression of having been long established when finished, rather than a new housing development that stands out as a new addition to the existing settlement. With properties ranging from two to six bedrooms, communal play area and access to excellent commuter links The Orchard is perfect for families and professionals. An attractive detached family home offering large entrance hall, open plan kitchen/dining/family room overlooking the gardens, formal living room, study, utility and WC. The first floor comprises three good sized double bedrooms (one with en-suite) and a large master bedroom suite with en-suite bathroom and dressing room, large family bathroom. The property has a detached double garage and ample parking for several cars. The Belmont, plot 16, is a substantial detached property set in the Southern Courtyard with tandem parking in a shared car-port and views over the development recreation area. Comprising opening plan kitchen/dining/reception room, lounge, study, four bedrooms, ensuite and dressing room to master bedrooms, further ensuite to bedroom three, family bathroom, carport and garden. The Crofton forms part of the Southern courtyard in a large Tudor style barn Comprising large entrance hall, open plan kitchen, dining and family room over-looking the gardens, formal living room, study, utility and WC, three good sized double bedrooms, one with en-suite, a family bathroom and a large master bedroom with en-suite shower room. 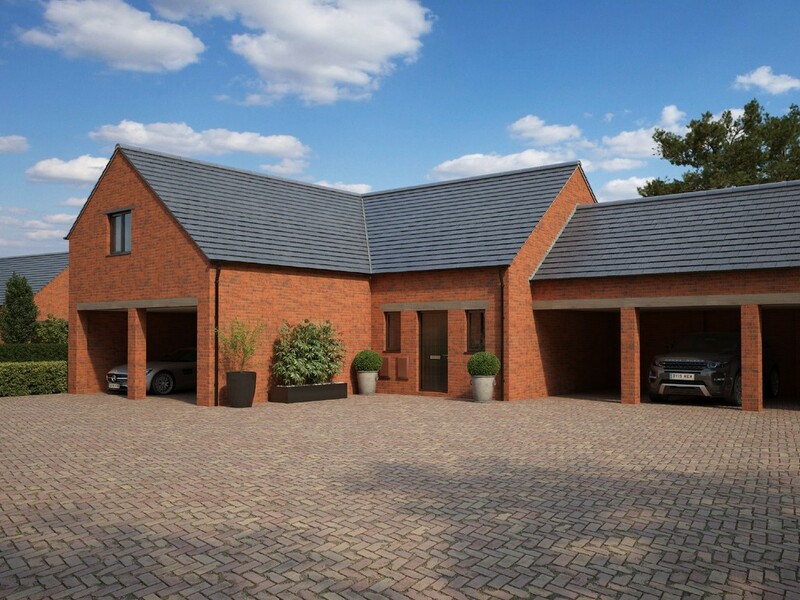 Detached private double car-port providing parking for two cars. 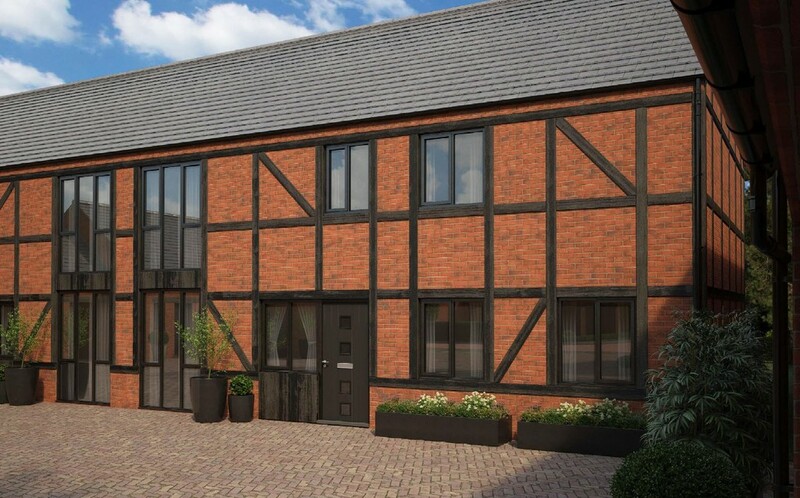 The Evelina forms part of the Southern courtyard in a large Tudor style barn with beautiful red bricks and exposed timber beams on the elevations. Comprising large entrance hall, open plan kitchen, dining and family room over-looking the gardens, formal living room, study, utility and WC, three good sized double bedrooms, one with en-suite, bathroom and a large master bedroom with en-suite shower room. Detached private double car-port. The Redfield, plot 15, is a well proportioned link-detached property set in the Southern Courtyard with tandem parking in a shared car-port and views over the development recreation area. Comprising open plan kitchen breakfast room, utility, living room, dining room/study and cloakroom, four bedrooms, two ensuites, family bathroom, shared car port, private rear garden. The Grove, plot 19, is a lovely detached property set in the Southern Courtyard with its own private double car-port and walled garden. 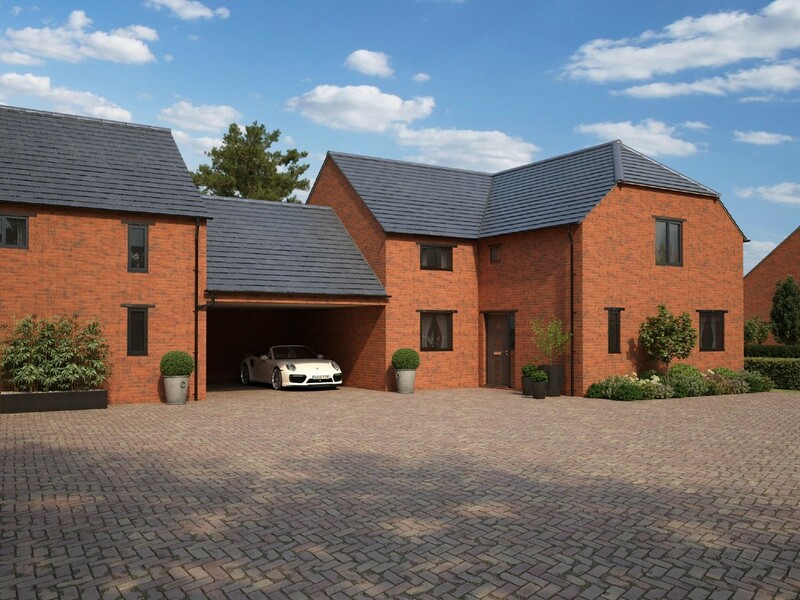 The ground floor comprises large double height entrance hall, open plan kitchen and dining room, separate living room with double doors leading onto the garden, utility and WC. The first floor comprises two double bedrooms, one of which is a substantial room and a large master suite with en-suite bathroom. There is a large family bathroom and gallery landing. Smooth ceilings and walls finished in white emulsion. White pre-finished internal doors with complementary skirting and architraves and satin chrome ironmongery. White satinwood finish to all joinery including staircases. Choice of Quartz worktops* with up-stand. Choice of colour to glass splash-back* behind the hob. Stainless steel single fan oven with 4 burner gas hob in 1-3 bedroom homes. Stainless steel double fan oven with 5 burner gas hob in 4+ bedroom homes. Integrated appliances including stainless steel extractor hood, fridge/freezer and dishwasher. Under-mounted stainless steel dual-bowl sink in the kitchen and single stainless steel single sink with drainer in the utility. Chrome plated mixer taps* in both the kitchen and utility. Free-standing* washing machine in the utility. Chrome finish taps and fittings. Wall mounted thermostatic showers in both free-standing cubicles and over baths. All WCs fitted with soft close seat and covers. Low profile shower trays with chrome framed glass enclosures. Glazed bath screens with chrome trim. Chrome towel radiator in bathrooms and en-suites. Space saver white radiator in cloakrooms. Shaver socket in the family bathroom and master en-suite. Choice of half height ceramic wall tiling* in all wet rooms. Choice of full height ceramic wall tiling* to shower enclosures and around baths. Choice of non-slip ceramic floor tiling* in all wet rooms. Choice of ceramic tiles* in the kitchen, utility, cloakroom, entrance hall and bathrooms. Central heating with A rated energy efficient boiler, controlled with a combined 7 day programmer and thermostat. Unvented hot water cylinder maximising available hot water volume (in properties with more than two bathrooms). Method of heating and hot water production is site specific, please refer to our sales team for more information. Brushed chrome slimline electrical sockets and switches in the kitchen, white slimline electrical sockets and switches to all other rooms. White pendant ceiling lights with energy saving bulbs in all dry rooms. LED down-lights to wet rooms and hallways. Under-cabinet LED strip lighting in the kitchen. Telephone points in master bedroom and hall or study (where featured). TV point in all bedrooms, kitchen and living room. Light to front and rear elevations. Composite or timber front door*** with chrome effect letter plate, door viewer, multi-point locking system and security chain. Mains powered smoke detector to each floor (with battery back-up). Mains powered heat detector to the kitchen and mains powered carbon monoxide detector installed in close proximity to the boiler. Close-board or post and rail fencing to garden boundaries with gate to provide side access. External tap to rear elevations. Patio*** outside French doors in rear gardens and paths with gravel margin. 6 inspections throughout the build by NHBC or Q Assure Build inspectors. NHBC or Q Assure Build 10 year Warranty from date of legal completion.